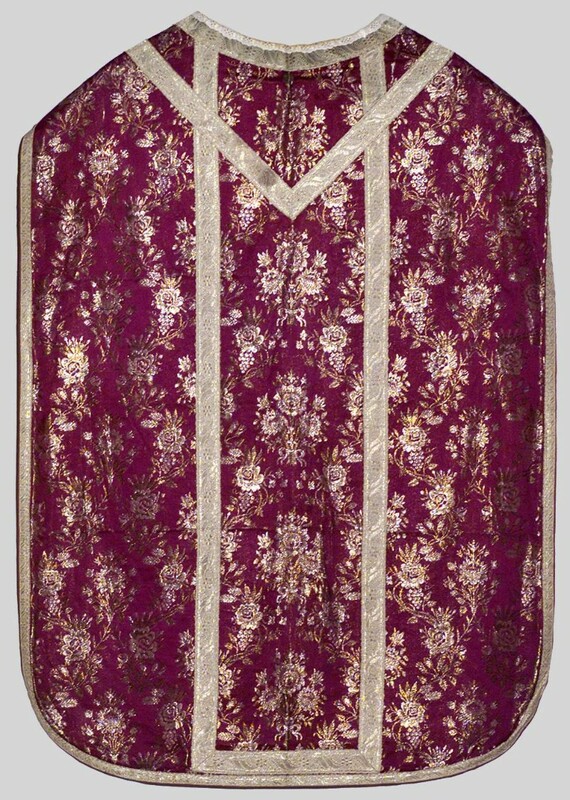 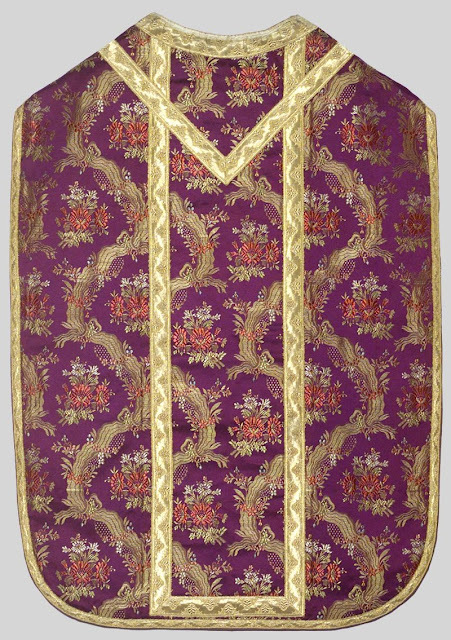 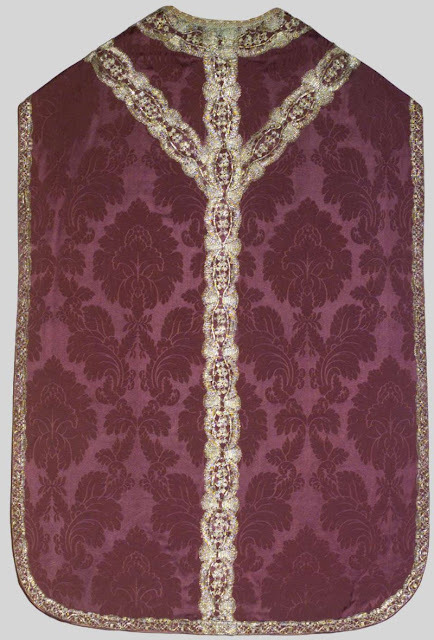 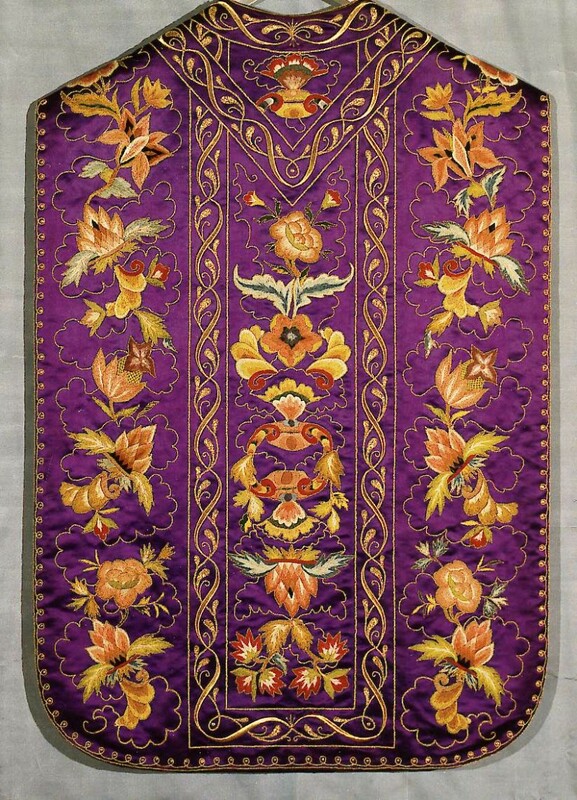 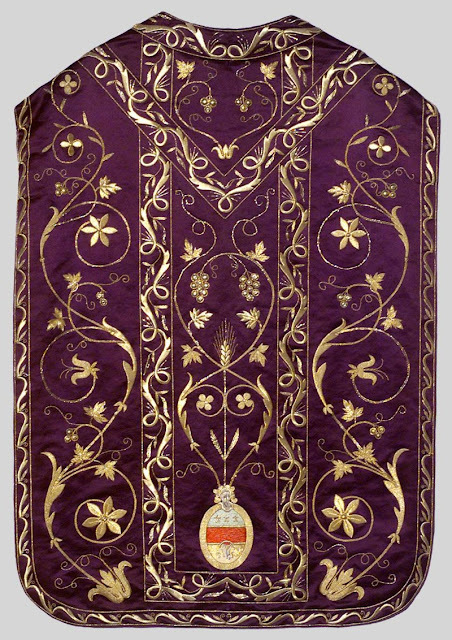 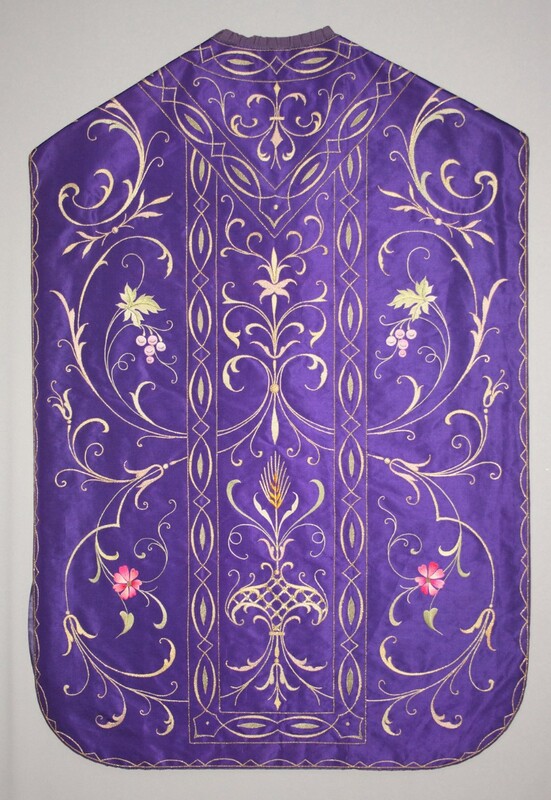 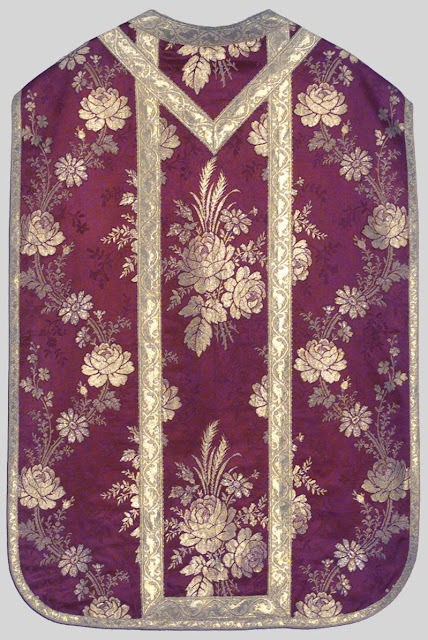 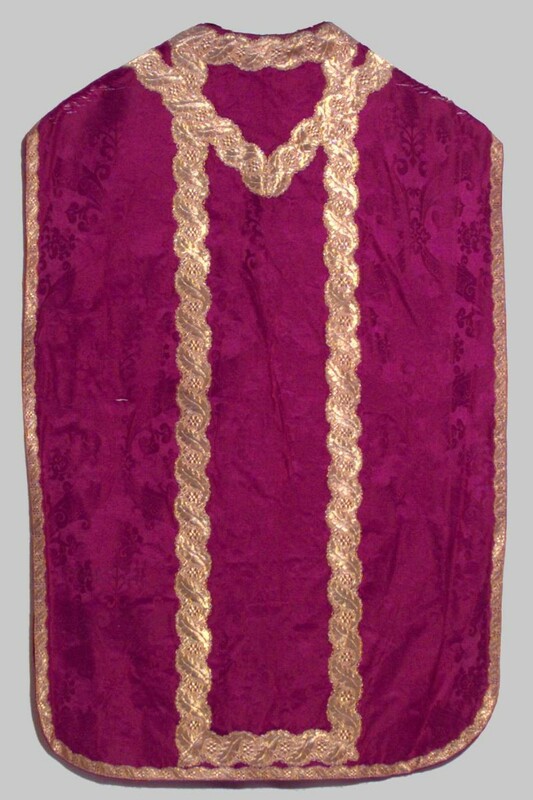 Yesterday we considered some 18th century examples of violet vestments. 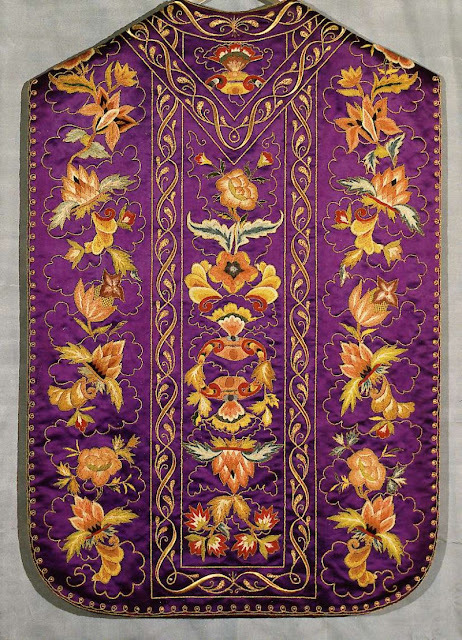 In order to show how each century saw its own particular stylistic progression, I thought it would be of interest to LAJ readers to now see some 19th century examples, once again coming from BeWeb. 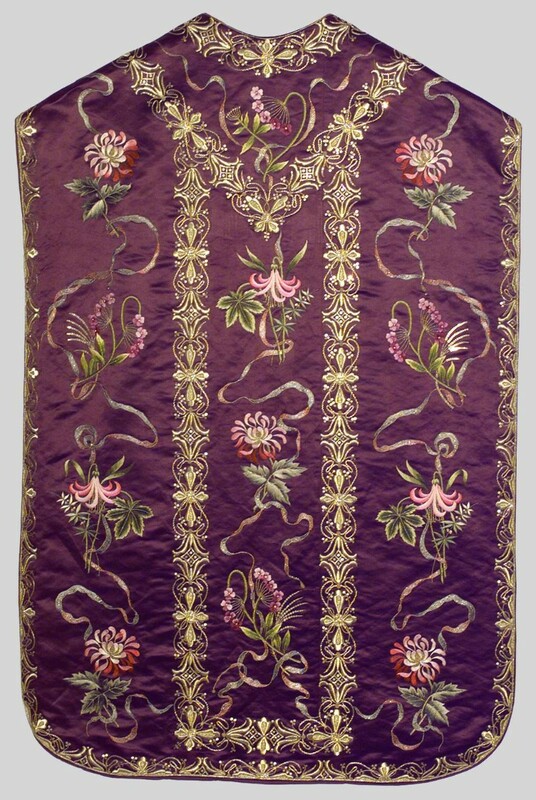 Readers will note that the emphasis has now shifted from pastel patterned textiles to embroidered ornamentation and gold brocade patterns -- by comparison, the 18th century saw either gold embroideries or coloured, pattern textiles. 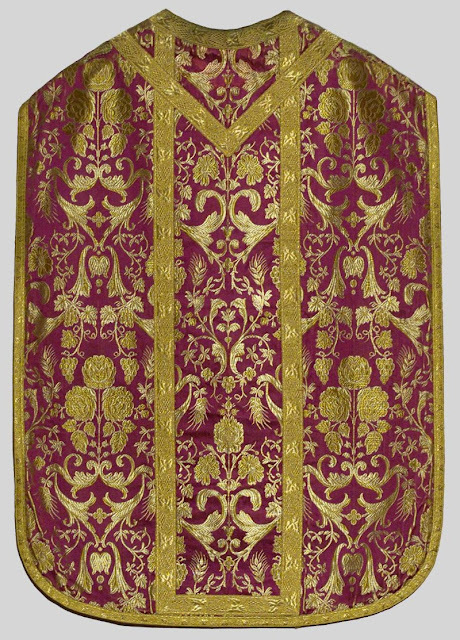 It is precisely the identification of trends and elements such as these which helps a seasoned eye to identify the variances which place vestments in one era or another.